Barcelona are reportedly at real risk of being dealt a huge injury blow as a decision will have to be taken on whether or not Samuel Umtiti needs surgery on his injured knee. The French international sustained the setback against Athletic Bilbao last month, and has been sidelined since which has been an issue for the Catalan giants in itself. 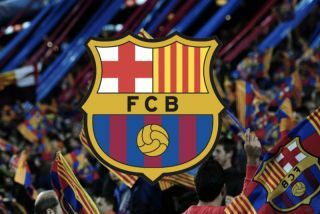 With question marks over Gerard Pique’s form so far this season coupled with Clement Lenglet not entirely convincing and stalwart Thomas Vermaelen arguably not up to the job on a regular basis, the La Liga champions will be desperate to get Umtiti back fit and playing as soon as possible. However, as per Mundo Deportivo, the prognosis doesn’t look positive, as it’s claimed that he will continue to sit out after the international break as he receives treatment and is expected to miss the games against Sevilla and Inter. A decision will then be taken ahead of El Clasico against Real Madrid on October 28 as to whether he can feature in that game. If he can’t and the injury isn’t healing as desired with rest, it’s suggested that surgery will be the only option and that could keep him sidelined for up to four months. With that touted timeline in mind, it’s no surprise that Barcelona are reportedly keen to prioritise the treatment without surgery, but it seems as though they may not have a choice unless progress is made in the coming weeks. Barca have conceded nine goals in just eight La Liga games so far this season, giving them the worst defensive record of the top eight sides in the table which exposes where their main weakness lies this year. In turn, getting Umtiti back to shore things up in defence will be a crucial boost, but there are real doubts over when that will be as he’ll surely be desperate to avoid surgery if possible.